Many problems are associated with soda. Lots of people have cravings for sodas that they would like to eliminate. 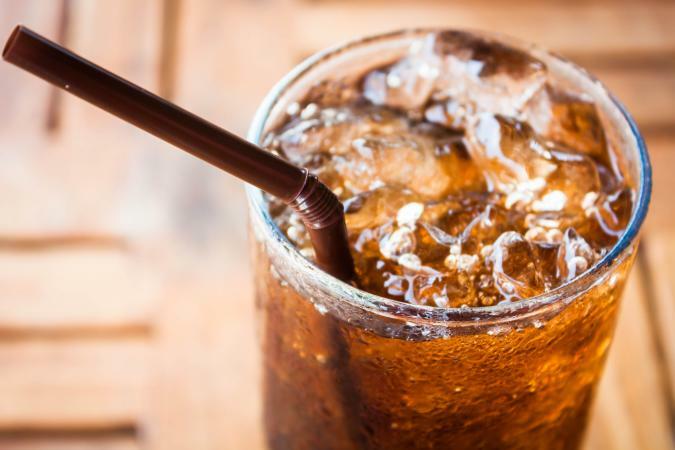 Cutting back on, or getting rid of soda in your diet can provide a lot of health benefits but first you have to get over the withdrawal symptoms that go with reducing your intake of soda. In a word, yes, both diet and regular sodas can be addictive. Both sugar and caffeine are substances that the body craves. If you've ever cut back on soda and had a headache the next day, you know that it can be difficult to fight that feeling. Many people feel that drinking soda either calms them down, focuses them on the task at hand or helps perk them up. They really can't imagine getting through the day without regular doses of soda. Tooth decay: The acid in sodas, as well as the sugar, eats away at tooth enamel, making decay more prevalent. Given that the average 20-ounce soda has the equivalent of 17 teaspoons of sugar, it's not hard to see that soda can be bad for your teeth! Weak bones: Young girls who drink soda have lower bone density than girls who don't drink soda, probably because they're not drinking a lot of calcium-rich drinks. Weight gain: Especially when you're drinking non-diet sodas, weight gain is a real possibility because of the excess calories and sugar. Some people find that just cutting out soda helps them lose weight, without changing the rest of their diet. One can of soda has about 136 calories, which is more than 45,000 calories a year if you just drink one a day. Diet soda may be somewhat better, but some people have linked drinking diet soda to weight gain as well. Stomach aches: For people who are susceptible to carbonation, such as those with irritable bowel syndrome, soda can be quite irritating. People with acid reflux or digestive problems should stay away from soda. Getting rid of the soda habit is a great way to bring about better health as well as some weight loss. However, for a lot of people it is easier said than done. Dealing with cravings is difficult, and the way past them can be different for each individual. Most people find that quitting sodas all at once is a bad idea that leads to headaches and mood swings. Often they will give up hope and going back to drinking soda again as much as before. Some people find they don't have the self-control to ration their soda and will drink a whole two-liter bottle even though they were supposed to only have one glass. You know your own body best and will know which way will work better for you. The most important thing is to replace the soda with a healthier beverage. Plain water is best, but often it doesn't offer the same satisfaction that soda does. Instead, try tea, flavored seltzer water, flavored water, soy milk or reduced-fat cow's milk, coffee or cocoa. If you go with coffee, tea or cocoa, make sure you don't load up on sugar or you're not really improving the situation. Some people find that adding healthy snacks that contain sugar, like fruit, will help curb the cravings for soda and give some satisfaction without the extra calories and potential health problems. Cutting out soda presents a good opportunity to make other healthy changes in your life. It may also be helpful to combine cutting out soda with an increase in physical activity. Many people depend on soda for the caffeine jolt, but if you can prove to yourself that you have energy that doesn't come out of a bottle, you just may be able to kick your soda cravings for good.